MiLB First Pitch, the official mobile app for Minor League Baseball and 160 clubs, from Triple-A to Rookie, is ready to bring you closer to all the action of the 2019 Minor League Baseball season. Follow the action with Gameday for all 160 clubs, as well as complete stats, schedules, standings and the latest news for every team. Push notifications make it easy to get game alerts for your favorite teams and breaking news from across the Minors. 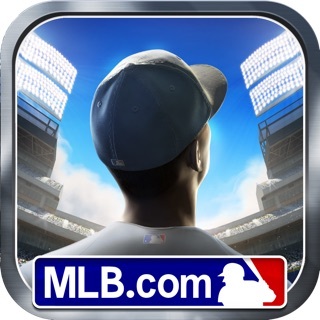 First Pitch is the premier app to follow the top MLB prospects from every club throughout the 2019 season. Plus, watch more than 6,500 games live or on demand with a MiLB.TV subscription. •	Complete rebuild with improved navigation and better options for finding your favorite team(s). •	Upgrade to MiLB.TV live streaming, with up to 75% of streams now available in high-definition. •	Support for Minor League Baseball’s newest teams – the Amarillo Sod Poodles, Fayetteville Woodpeckers, Las Vegas Aviators, Rocky Mountain Vibes and Syracuse Mets. •	Support for all off-season affiliation changes and League transitions. Access MiLB.TV for $12.99 per month or $49.99 annually. You will be automatically billed $12.99 through iTunes every 30 days or $49.99 every 365 days until you cancel your subscription. Your subscription automatically renews unless auto-renew is turned off at least 24 hours before the end of the current period. Your subscription can be managed and the auto-renewal may be turned off by going to the iTunes Account Settings after purchase. No cancellation of the current subscription is allowed during active subscription period. Blackout restrictions may apply for Lehigh Valley IronPigs home games. Other restrictions may apply. Visit MiLB.TV for details. I also once hired my unqualified nephew to redesign my product because my sister and mom guilted me into it. I also thought the half-baked ideas he gleaned from his half semester at community college before dropping out sounded at minimum different than what we were already doing. I also lost revenue and respect as a result of his ineptitude and my own terrible decisions. Well, I also worked for a group that provided an efficient and satisfactory service, which meant they really didn't need much from me. This made me frightened they might begin to see me as dead weight as there was little reason for me to work on something that already functioned so well. In order to justify my position with the company, I needed to implement a complete overhaul of the product to make it so unbearable they would need to keep me on staff for eternity to undo all of the problems my "improvements" created. Problems such as paying customers bailing like rats on a ship. At least 75% of the streams no one will ever get to see via the app are theoretically in HD now. Y'know, 15 years after HD became standard. Maybe if I delete and download the app an eighth time it will work. Maybe? It might be working ... nope, it was just gas. I’m new to following MiLB games closely, because my home town, Amarillo, just got a team. 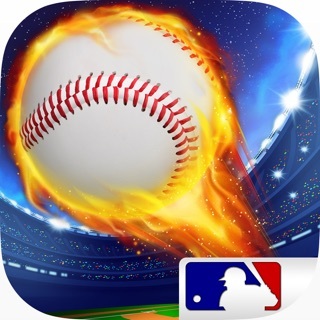 I was excited in the offseason when I found out there was an app supposedly similar to MLB atbat for minor league games. When they FINALLY updated it and added the Sod Poodles the day before the season, however, it became nothing like the At-Bat and basically useless. Everything you could want to look at (Box Scores, Highlights, Audio from the games) just takes you in a pop up window and loads it on the MiLB site. If I wanted to do that, I’d just pull up the site myself. Plus, I turned on the notifications for the Sod Poodles and haven’t gotten a single one. I’ve had better luck turning on Twitter notifications from the team and listening to games in the TuneIn radio app. A refreshed version of last year’s app seems like it would be a lot better. Not sure why this route was chosen. Last hear was great. Perfect way to catch practically any minor league game across the country. “improvements” for 2019 have significantly reduced the product’s value. Glitches are numerous and we are only one game in so who knows how else I will be disappointed in games to come: screen does not rotate. Games appear as unavailable in game listing once started but actually are if you ignore the text. While watching a game, we no long per have easy access to instant stats, other scores, line ups, with an easy swipe. Pregame coverage is gone. Even the customer service form isn’t functional. Still not sure how to access archived games from yesterday because navigation is screwed up. Not sure why, knowing this version obviously didn't work, MILB didn't just switch back to the 2018 version. I cant recommend it presently, not at $50.